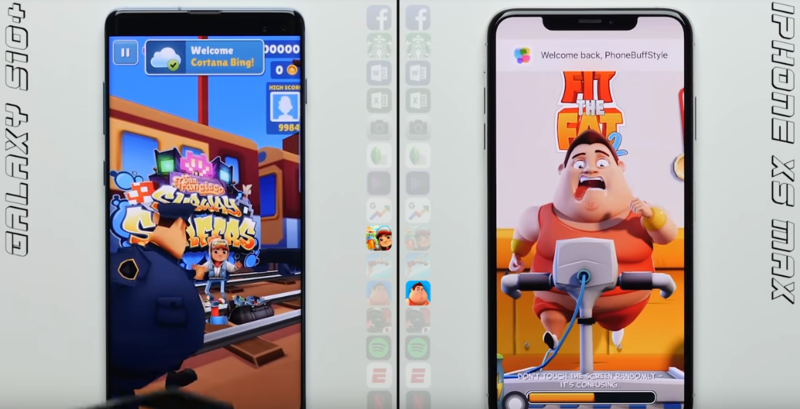 PhoneBuff blogger, which automated the process of comparing performance smartphones, decided to compare the features current flagships of Apple and Samsung. More specifically, models of the Galaxy S10+ and iPhone Max XS. Smartphones are very different as the hardware and software parts, the more interesting to compare them during their confrontation. As you can see, overall speed of running applications is very close. The first round won the iPhone XS Max, while overall still won the flagship of Samsung ahead of the competitor at the end. The video shows that the iPhone XS Max much stopped Microsoft that were unloaded from memory, while the Galaxy S10+ this did not happen. Still, sometimes a smaller amount of RAM from Apple smartphones affects the performance not the best way.